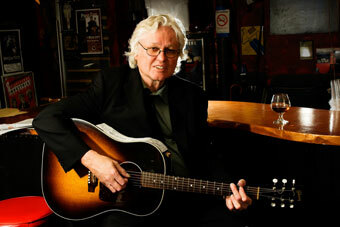 It is possible that there's another musician somewhere who's had his songs covered by Jimi Hendrix, Frank Sinatra, and Willie Nelson, but if you add Nina Simone, Janis Joplin, Ike & Tina Turner, and Kermit the Frog to the list, it's a pretty good bet that Chip Taylor is the only man who can claim the honor. One of America's finest songwriters, as well as a masterful singer and performer, Chip has spent much of the past five decades crafting reflections on life and love, from rock anthems like "Wild Thing" to soulful tunes like "Angel of the Morning." Born and raised in Yonkers, New York, part of a large family that also includes brother Jon Voight and niece Angelina Jolie, Chip began making musical waves in the mid-1960's as a staff writer with CBS' Blackwood Music. He became known for melding country music with R&B to write songs that remain staples in the American music diet, including "Try (Just A Little Bit Harder)," "I Can't Let Go," and "Country Girl, City Man." 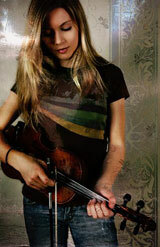 These days, Chip continues to add tohis long string of acclaimed solo CDs, in addition to performing. Tonight he presents tunes from his bottomless repertoire of classic originals, as well as thought-provoking topical numbers with a keen eye and humane spirit from his recent release, New Songs Of Freedom, with the able assistance of the dynamic young Canadian singer-songwriter-violinist, Kendel Carson and a rockin' band featuring guitarist John Platania.